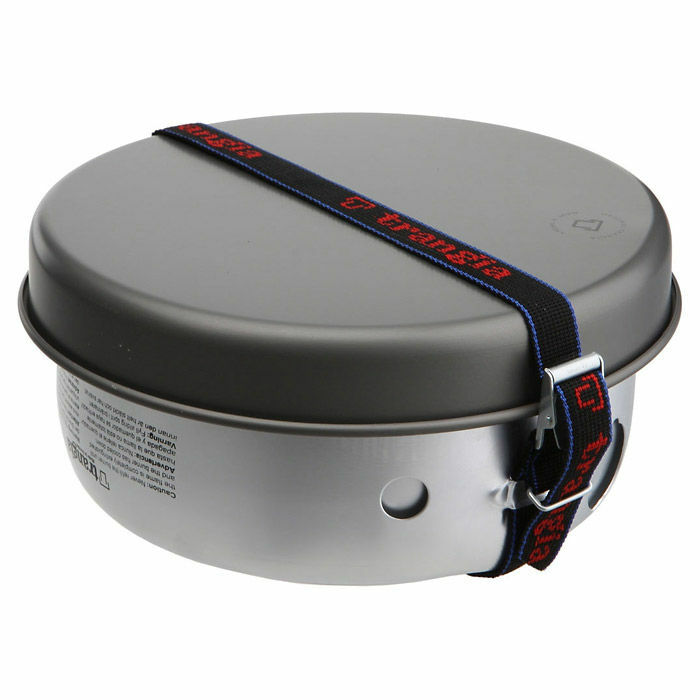 The Trangia 25-7 UL/HA is a complete camping cookware set for use in groups of 2 to 4 people. 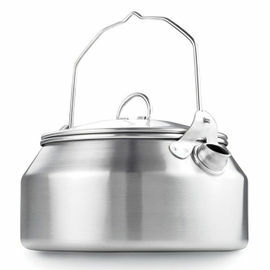 Trangia's stove sets are available in a wide variety of materials and sizes; this particular set is Ray's personal favourite, thanks to the combination of an ultralight windshield along with more durable (yet Teflon-free) pots and pans. To complete the set, Ray adds his GSI Glacier Stainless Kettle (sold separately), which nests neatly inside the smallest saucepan. Each set includes one classic Trangia meths-burning stove, upper and lower windshields, two saucepans and a frying pan. The windshield is made from ultralight aluminium to save as much weight as possible, while the pots and pans have been treated with a hardanodised surface for increased resistance to general wear, scratching and corrosion. Furthermore, this treatment makes the components easier to clean than untreated items. 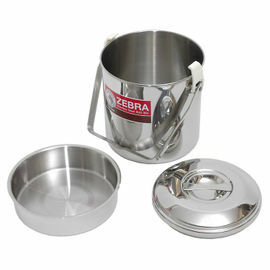 Each component has been carefully designed so that the entire set can be nested and packed away into a neat 22 x 10.5 cm package, weighing in at just 845 g. Three hinged supports in the upper windshield allow the set to be used with larger pans and billy cans. 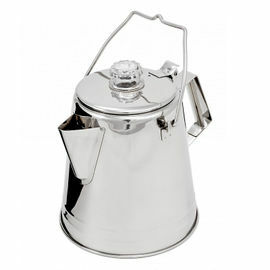 The Trangia name is known around the world for their classic stove design, which is included in this set. This stove is light, fast and - above all - reliable for use in the outdoors, in all weathers. This stove can be used with meths, as well as gel fuels. 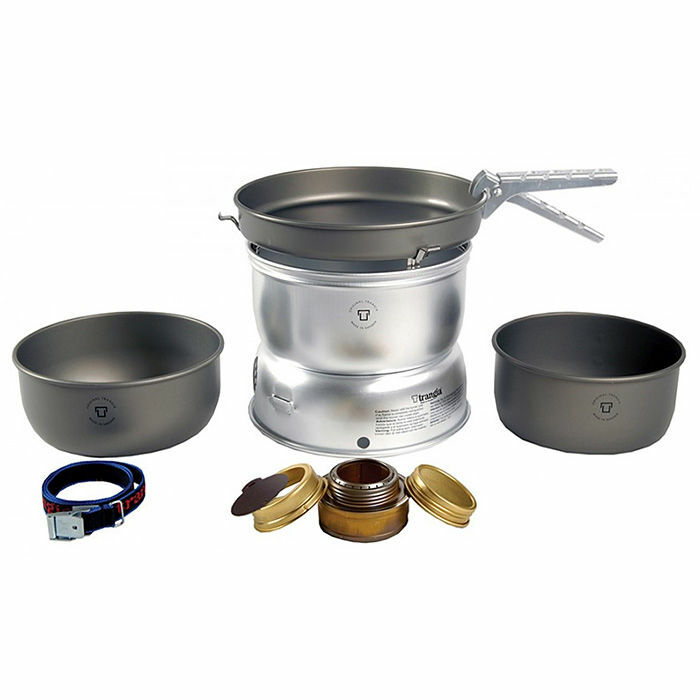 Trangia 25-7 UL/HA Stove Set is rated 5/5 based on 2 customer reviews. Love this stove set, used it a few times now. What's not to like, well made, packs into a side pocket on my rucksack, as always top kit from Woodlore. thank you guys n gals. I've wanted one of these for years, but wasn't sure which model. Since I'm a huge Ray Mears fan, I decided to trust him and the entire team at Woodlore, and follow their lead by purchasing the model on their site: Trangia 25-7. Just like everything else I have bought over the years from Woodlore, it arrived in about one week (to the US), without issue. Item was just as I hoped; perfect for my wife and son. The three of us travel around the United States a lot in our car, and sometimes we are in the middle of nowhere, far from any grocery or restaurant. 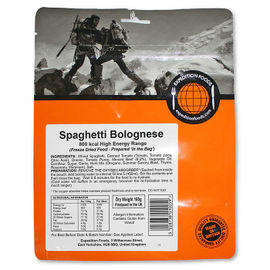 So we like to pack along some items that give us the ability to cook something hot and tasty. This kit works like a charm, and we are very pleased with our purchase. Just because we are far from home, it doesn't mean we can't eat like we do when we are at home. Eating healthy, home-cooked meals is very important to us; this kit helps us do that as we travel the back roads of the U.S.A. Thank you Woodlore.